We end our 50th edition of We Got Ya Covered with a cover feature two of the most iconic super heroes of all time. 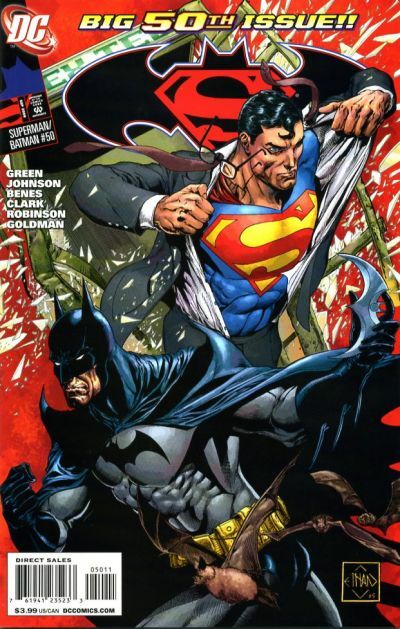 Before the new 52 reset everything, Batman and Superman starred in a very popular monthly book together and this is that books 50th issue featuring the two heroes and just about everyone else. The cover though is perfect as it features the two title characters ready for action. A dynamic dup in the truest sense and recognized around the world.